Everything from a Picnic Platter for 2 to a Wine and Cheese Party for 200. Plum Plums Cheese offers platters of any size, from perfect plates of cheese, crackers and condiments that fit in your backpack for your picnic, to large platters of cheese and charcuterie that serve 20 at your next party. Our customized platters are created with your individual preferences and are always freshly prepared. 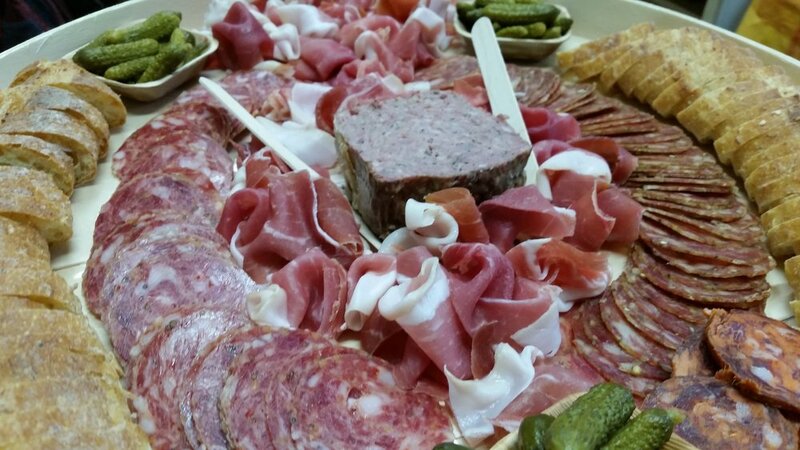 Let us take your event to the next level … place your cheese and charcuterie platter orders here. In addition to cheese and charcuterie platters, Plum Plums Cheese can also create the perfect Wine and Cheese event for you. Our delicious cheeses can be paired with the perfect Riahi Selections wines from around the world, in the theme of your choice. 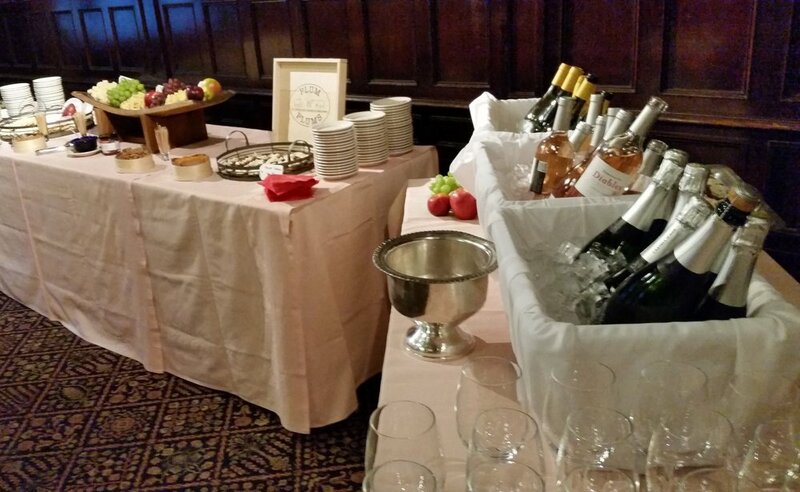 Whether it’s a casual cocktail party, a weekend gathering with friends or an interactive wedding reception, wine and cheese are the perfect pairing to create a memorable event. Gayle and Michael are available to lead a lively, educational and entertaining discussion for your party. Give us a call at the store to discuss.